Textile works by many Guild members feature in the travelling exhibition Beneath the Southern Sky curated by Brenda Gael Smith. The exhibition continues on tour in 2012 to the The Q Exhibition Space, Queanbeyan, 4-18 December 2012. Come along to the opening night function at the Q from 5.30-7.30pm, Tuesday 4 December. The Guild members who are organising the Away Meeting for 2013 would appreciate those who are interested in attending, to contact the Office as soon as possible. A downloadable booking form, also available on the Guild's website will need to be submitted to the Office to reserve a spot on the trip. Please submit your form and deposit as soon as possible, should you intend to take part in this annual excursion. 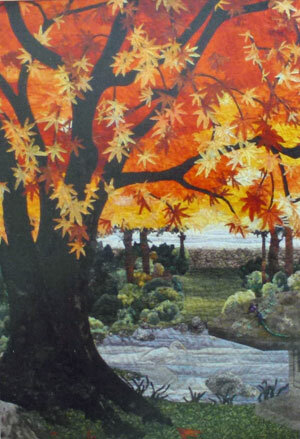 Gosford Regional Gallery presents an exhibition by Guild member and award winning quiltmaker Kay Haerland from 1 December 2012 - 9 January 2013. There is an opening function on Friday, 30 November at 6.30pm. Kay's work consists of realistic landscapes and contemporary abstract compositions. Design, colour, texture and light are used to make the works "believeable" and inspire the viewer to connect emotionally with them. The Final 2012 Meeting of The Quilters' Guild of NSW Inc. will be held on Saturday, December 1st. You are invited to join in the fun with the usual 'Show and Tell', Lucky Door Prize and Block of The Month Raffle. Please provide a mug for afternoon tea and chat with fellow quilters before the summer break. Demonstration : 11.00 am Join Gail and Elwin from "Just Patchwork"
If you missed the exhibition at the Annual General Meeting last month, you can now view the 2012 Pearl Challenge quilts online. The 2013 Guild Challenge is to make a 40x40cm hexagon inspired quilt. You must use the 2012 Guild gift 1inch hexagon template at least once. Our second sewing day for members to construct the 30th Anniversary Signature Coverlet will be held at the home of Meg Orr. Please bring your sewing machine and join in the fun. Meg has graciously offered to provide lunch and would appreciate a phone-call to ascertain the approximate numbers of volunteers involved. Please note the time change of 10am. 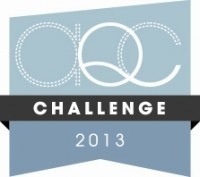 The theme for the 2013 Australasian Quilt Convention Challenge is FREE. There is $5500 in prize money to be won. Prizes will be awarded on the basis of: interpretation of the theme; excellence in design; and craftsmanship. 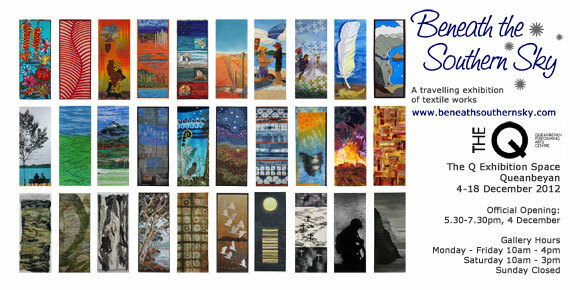 New rules include that the quilt must be 125x125cm and completed between October 2012 and the deadline 1 March 2013. See the AQC website for more details. Are you available to help join the blocks for our Signature Coverlet? November 17th is our first group sewing session and all are invited to attend. Please bring your sewing machine and lunch. The Fibre Alchemists Group, initially coming from diverse textile backgrounds, have once again joined creative forces to stage an exhibition of their work. 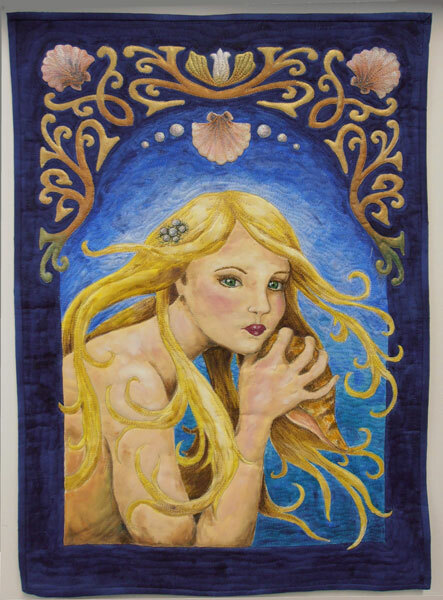 All are welcome to come to their 5th Exhibition; this one drawing on the theme of "Shelter"
The Nepean Blue Mountains Local Health District Pastoral Care Department have organised a Quilt Show and Sale this coming weekend. There will be Antique Quilts and Trading Tables filled with handcrafted gifts . . . to tempt those wanting to get their Christmas shopping off to an early start. Proceeds from the quilt show will help support Chaplains in the local hospitals. Light refreshments available and all are welcome. This exhibition is to be held in Gerringong, which is less than 2 hours drive Sth of Sydney. Refreshments and some exhibited items will be available for sale.